Physical systems are continuous but controllers are digital or discrete. Imagine we want to control an internal combustion engine of a vehicle. In the engine control unit (ECU) the data is read from all the sensors (via DAC) with a specific sampling time. Control algorithm must finish its execution within the sample time. Therefore, each “step” of the control program must be started exactly one sample time or step size apart, and have to be finished the computation of each step within the sample time, i.e. before the next step starts, to send the processed data (via ADC) to actuators. Figure 1: This diagram shows how a Digital control system for an engine management system is implemented using real-time system. Real-time simulation is the de facto engineering process for the development, test and validation of control systems in a variety of applications including but not limited to control and simulation of power electronic circuits, motor control, engine control, vehicle control, and robotics. There are two important steps in real-time implementation, Hardware-in-the-loop (HIL) simulation, and rapid control prototyping (RCP). 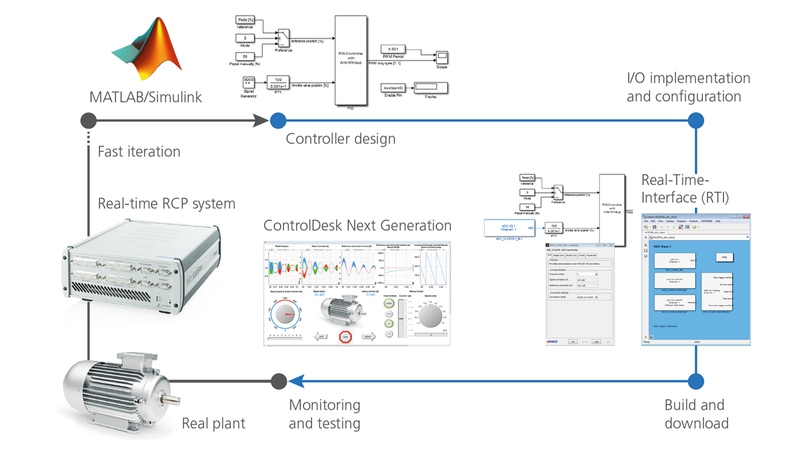 RCP is the design of control system when you simulate a model of the controller connected to an actual physical system (or plant). 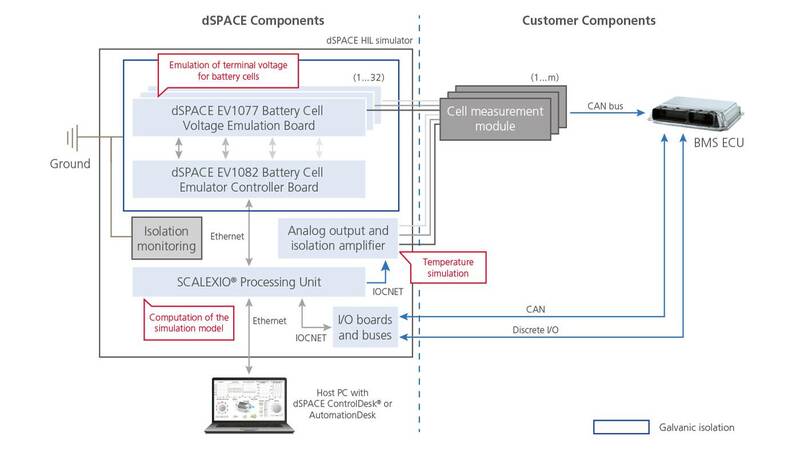 The image above illustrates the development process of a control system using RCP (read more in dSPACE website). 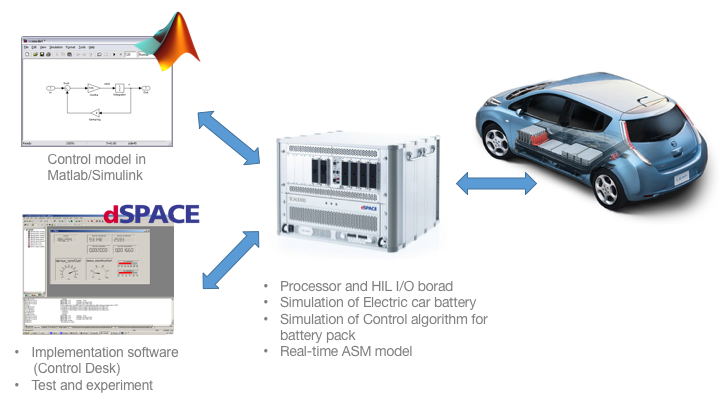 Figure 4: this diagram shows how a battery management system can be tested using HIL in dSPACE.